This is the fourth in a series of blog posts on game theory. Hopefully, you’ve read those posts and understand game theory has great potential in business and decision making, and that it is different from game studies, the science behind Farmville, Foursquare, and video games. If you attempt to learn game theory using the excellent textbooks available, you’ll probably get a headache. 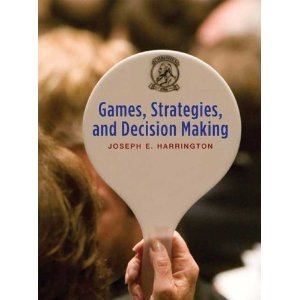 I usually recommend “ Games, Strategies, and Decision Making” by Harrington because it presumes no knowledge of math, econ, psychology, etc. Yet I still get a headache reading it. My headache sets in when values are assigned to all the possible outcomes in the game. This is called the payoff table or payoff matrix. Without payoff tables, applying game theory stops dead in its tracks. Payoff tables in simple 2×2 games like the classic Prisoner’s Dilemma, are manageable. But in more complex games of market strategy, they are unwieldy. Payoff tables are, in my opinion, the biggest obstacle holding back game theory as a management discipline. Firms like Priiva Consulting provide services that hide the complexity of payoff tables so that a client gets all the benefits but without getting bogged down in the mathematical science and its complexity. Recall the reason for constructing a game model is to predict behaviors and optimize your outcome. Formulating a game model requires three inputs: Players, Options, and Preferences. Players. Players are the stakeholders in the issue who act in their own self-interest. Not every conceivable player needs to be included. Shortcuts are available to eliminate weak players, or construct composite player definitions. Options. Options are the set of options available to each player. Think – “how many prongs exist on the proverbial fork-in-the-road?” Note that players may, but don’t necessarily have the same options. Preferences. And finally preferences. For each player, what are the most important options, of all options available to all players, expressed either as fear (meaning the player doesn’t want an option to occur) or desire (meaning the player wants the option to occur). This process of identifying players, constructing their options, and role playing their preferences forces a level of discussion and insight about your market that few organizations ever achieve. 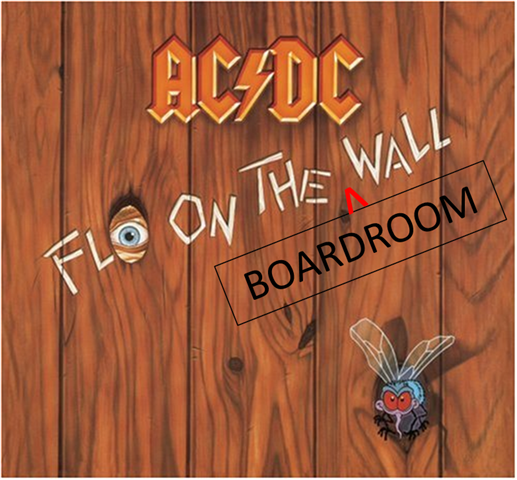 Its like being a fly on the boardroom wall of each of your current and future competitors. For example, lets say your game model has ten players and (for simplicity), three options per player. That is thirty total options – each of which are binary – each one either happens or not. So there are just over one billion (2**3oth) possible outcomes to be analyzed. That’s a big payoff table even though the vast majority of these billion outcomes are unstable, meaning they will never occur. Priiva has developed proprietary software to crunch through the billions of possibilities, eliminate the unstable outcomes, analyze the stable ones, and calculate the payoff tables. There are three primary outcomes of interest – the Natural Outcome, meaning the outcome that occurs naturally; the Best Achievable Outcome, meaning the best possible outcome for our client; and the Worst Achievable Outcome, meaning the worst possible outcome for our client. In traditional strategy or decision-making, an outcome is a selected goal and an input to the overall strategy process. All your energy is about the tactics to achieve the selected goal. When you apply game theory to strategic decision-making, the process is reversed. That is, the outcome is an output of the process! Your energy is first spent debating importance, not tactics. Once you have settled on importance, the mathematics behind game theory will determine your best possible outcome. Then all of your energy is spent on the execution and tactics to make that occur. This is all leads to a more repeatable, structured, and accurate decision making process. Intrigued? Here are some more thoughts on my experiences applying game theory to decision making. I’ve posted a white paper titled “On Decision Making” located here on slideshare. I hope you’ll read it and leave feedback either on slideshare or in this blog. It talks about decision making at the proverbial fork in the road. This is the third post in a series on game theory. The first post contrasted game theory and game studies as those are often confused. The second explains game theory using analogies, such as playing chess on an n-sided chessboard where you and the other players don’t necessarily begin the game with the same chess pieces. This third post highlights three recent business applications of game theory. In the news recently, HP was advised by Harvard Business Review to apply game theory regarding their spiteful lawsuit to fired-CEO Mark Hurd. The author’s key point is that revenge, while perhaps satisfying to the emotions, does not necessarily yield the optimal outcome. Subsequent to the HBR post and fortunately for HP and Hurd, the parties reached a settlement quickly. Maybe HP and Hurd applied game theory and had a keen understanding of one another. Or maybe they negotiated from gut instinct. Either way, a settlement came about quickly, which to me indicates that HP was confident in asserting their claim and risking additional embarrassment of a protracted public argument in favor of saving (some) face with shareholders. In another example of game theory in business, AT Kearney advises their banking clients to use game theory on selection of ATM locations. In fact, it’s easy to imagine applying this thinking to location selection of nearly any retail outlet, as the emphasis is all about what your competitor will do in reaction to your selection. And it is an easy read. In yet another example, consider NexTech Materials, a manufacturing and materials supplier for emerging energy and environmental markets. NexTech has developed an innovative family of solid oxide fuel cells. NexTech engaged Priiva Consulting to analyze the future market structure of fuel cells and other alternative green energy solution providers. The CEO of NexTech, Bill Dawson presented this analysis at Ohio’s Fuel Cell Symposium this past May. The analysis concluded that the fuel cell market has stalled because players are waiting on the other before acting. In computer science, this is called a deadlock or a deadly embrace. In everyday language, this is the “chicken or the egg” paradox. In everyday life, this might be your daily commute. The current market structure was visually depicted for NexTech in the graph below. Each bubble in this deadlock picture is a market stakeholder, or “player”. The arrows indicate who is waiting on who? The green shaded aggressive players will act unconditionally without waiting. The yellow-shaded players are “Hesitant” and will act conditionally. 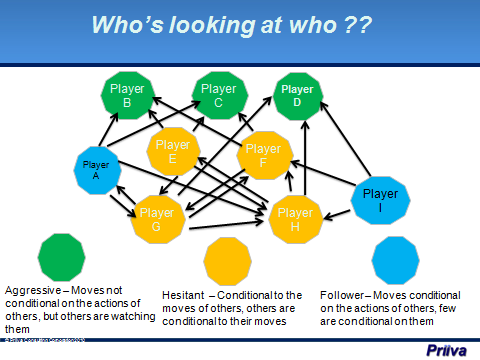 The blue-shaded players are “Followers” as they also act conditionally, but unlike the yellows, few others are conditional on them. Deadlocks mean the market will develop slowly. Deadlocks can be broken if parties are willing to coordinate and make decisions concurrently. In this market example, a success by any early adopter is actually the key to breaking the deadlock for everyone. This is a “rising tide” game structure whereby the success of one is the success of everyone. In traditional markets, we’re taught to beat, punish, or kill competitors. However, in a “rising tide” market, all stakeholders should engage in short-term coordination and cooperation, as that is vital to long-term market viability. Said differently, a market must first be viable for customers to buy; competitors to compete; or for partners to partner. What is the structure of your market? Is it a battle of titans like Coke versus Pepsi? Or a “rising tide” like alternative green energy solutions? Those extremes can often be intuitively sensed. But markets with new entrants, M&A, technology disruption, obsolescence, new business models, consolidation, government regulation, or lots of players are too complex to predict without some toolset that assists. The final structure and outcome (that is, who is left standing and who maximized their value along the way) is a complex serialized web of actions and reactions by lots of stakeholders. Game theory can provide a repeatable process to sort through that complexity. In my last blog post, I did a compare and contrast between game theory and game studies. This post provides some analogies that hopefully makes game theory easier to understand. Imagine you’re playing chess, but with N players rather than two. The objective is to capture the king of every opponent. That requires you to have an offensive strategy. But each of your opponents will have their own offenses. You re-validate your current understanding of every player’s strategy every time any player makes a move. And you may change your entire strategy, or just a few moves, depending on the moves of others. Game theory is a repeatable process of anticipating what others will do in order to achieve the best outcome for you. Imagine a set of vectors each having a force and direction. That set of vectors will converge in a natural equilibrium. That equilibrium can be computed mathematically, and therefore is predictable. Sometimes I explain game theory using the popular chicken scene in the movie Rebel Without a Cause. The game of chicken is in nearly every textbook on game theory as it is quite evident that the actions of both players are dependent on the other. The Game of Chicken: Two cars speeding toward each other on a one lane road. Each player has two options – swerve or go straight. If you swerve, you’re a coward. If you go straight, you’re a hero. There are four possible outcomes in this game. One of those outcomes is particularly bad for both players. Now imagine that you’re playing chicken, and your opponent shows up completely drunk, acting irrationally, and slurring bold explicative about of you going down. Does this influence your behavior about swerving or going straight? Yes. Just like your adversary who showed up and acted drunk, good (credible) product positioning in your market can change the behavior of your competitors. What is common in each of these three analogies i) capturing all the other kings; ii) the equilibrium of vectors; and iii) being the hero in the chicken game? They are all a sequence of actions and reactions leading to a final outcome. That final outcome is actually predictable by analyzing the sequencing. Game theory is a methodology that helps to figure all that out. Next, I plan to write about some recent examples in business where game theory was, or should have been applied.